Speech to the Institute of Economic Affairs, London, Friday 22 September 2006. It's a huge buzz, as a Kiwi, stepping off the plane in London - the land of Big Ben, Shakespeare and 'mind the gap'. This is a journey that thousands of New Zealanders make - even though Heather Roy and I aren't joining the expatriate community for long. Isn't it strange that, wherever Kiwis go, we quickly find other Kiwis to live, work and play with? We love being able to travel halfway around the world, and still find little slices of New Zealand. To be able to go to the Redback, the New Zealand Shop, the Walkabout or Flat White. And no matter how far away we are, part of us always feels at home. Popular opinion suggests that there are three main reasons people make this journey - to travel into Europe, to escape their student loan, or to seek out better job opportunities. As politicians, we have come to learn. To learn about what's working here, in Ireland and in Germany. We will take back those new ideas to make our own country more free and prosperous. I lead a party of free-market liberals, and represent the people of the Epsom electorate. We are a small but independent part of New Zealand's political landscape. We remain strong and independent because we remind ourselves constantly what we stand for. A better vision for New Zealand. We remind ourselves of what New Zealanders are, and what we can achieve. Today, Heather Roy and I are the only MPs in our Parliament advocating freedom, choice and personal responsibility, but in the 1980s, New Zealand led the world. 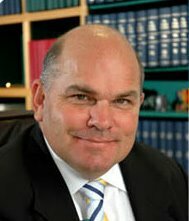 Sir Roger Douglas, the Labour Party's Finance Minister, who went on to be one of ACT's founders, introduced the free market to New Zealand's economy. That Labour government gave us more freedom and choice. Now ACT stands in opposition to a Labour government which is taking choices away. As economists, we know what works to deliver more prosperity. Politicians having less control, and citizens having more. That's what ACT is in Parliament to deliver. Less government results in a prosperous economy, a strong society and a quality of life that is the envy of the world. We will get there by trading globally, by taking care of our environment, and by trusting the people. As David Cameron has said, the more we trust people, the stronger they become. ACT trusts people to make their own choices - about the health and education of their family, and about their role in the economy. Freedom and choice are enduring ideas. We would implement them through enduring policies. Enduring policies we've already seen include the Fiscal Responsibility Act, where Government has to tell Treasury every six months about all the decisions they've made that involve spending money. Treasury then have to prepare a four-year forecast. That makes government more transparent and accountable. Politicians can no longer commit taxpayer funds in secret. The effect was immediate. Every New Zealand government had run a deficit every year of my life. That's how they would win votes - by spending the money now, and piling up the bills for future generations to deal with. No government has run a deficit in any year since the passing of the Fiscal Responsibility Act. We've also got the Reserve Bank Act that tamed inflation. The Reserve Bank Governor has one objective - price stability. His inflation target is set by the Minister of Finance, publicly and in writing. New Zealand now has price stability. Our politicians don't just let the printing presses rip, running up a debt tomorrow to buy an election today. These laws have survived elections. Our tax and spend parties have been in government, and not repealed them. Because if they did, New Zealanders would know what they were up to. So what did those Acts have in common? They made political decision-making more transparent and politicians more accountable to the voters. So the solutions we should be advocating are precisely those. The more politicians are accountable, the better decisions we will get. It's when they can hide things that they get away with it. We recently had a test run, when I introduced a Bill to constrain the size of local government. If local councils wanted to increase their rates revenue by more than two percent above the level of inflation, they needed to ask ratepayers through a referendum. That Bill nearly had the numbers to go for public submissions. In the event, the Government has had to announce an inquiry into the cost of local councils. The next step would be to cap central government expenditure - but only in line with population growth and inflation. Politicians would have to spend within their budget - just as families do. If they want to spend more money, in real terms, taxpayers would have to give their explicit consent. Those are rules built to last because we'd say, as a people, that if you want to take more of our money, you need to get our permission. The next Bill I will take before Parliament in November is a Regulatory Responsibility Bill. It says that, before making a law, Parliament has to publicly answer a few key questions. After a time period, the rules would have to be reviewed, to see if they work. Politicians would be made accountable to the people for the regulations they passed. And that would cut the cost of useless law and pointless red tape. If the political parties stick to their pre-election promises, my Bill will get the support it needs to go through to public submissions. We believe, in ACT, that less government and better government walk hand in hand. That greater opportunity comes from having fewer barriers to trading between nations. And that just as we separate church from state, we should separate the state from business. Politicians and businessmen have very different incentives. The incentive for business is to make money by satisfying customers. Businesses need to provide what people want. Unlike businesses, politicians don't go bust. They don't need to provide anything. But politicians feel we need to. It makes us look important. Powerful. Competent. Which is why, in New Zealand, the State owns power companies, a bank, an airline, the post office, radio and television networks. None of our Cabinet Ministers owned a radio station, a power company or a bank before coming to Parliament. We're told that these are assets held in trust for the people - but politicians without experience or proper incentives make bad trustees. The people didn't choose to own them - they can't opt out. Politicians appoint the managers, and taxpayers take all the risk. Citizens who could put their share of these investments to better use, like having a hip operation, are denied that opportunity. If State assets are the people's assets, they should be owned and managed by the people. I would return shares in State owned assets to the citizens of New Zealand. That would give every Kiwi a real stake in our economy. New Zealand families would have real choice, real power and real opportunities. Families would prosper through selling the shares they don't want to keep, and collecting the dividends on those they do. Margaret Thatcher began to separate the state from business, right here in the UK, about 25 years ago. Governments around the world followed. Here, as at home, there is still unfinished business. Few countries opt for fast, large-scale economic reforms. But many crave more freedom and greater choice. By making the actions of politicians and Government transparent, and giving the people a stake in our country's economy, we can deliver that freedom and choice. We can have strong citizens and prosperous economies. If we trust the people. Great speech. I haven't heard anyone make the analogy before of the seperation church and state to the seperation of business and government. Nice. Its a very important point Chris. government is essentially a negative phenomonon. All it is good for is stopping people doing things. At its best it stops criminals and foreign invaders (its only legitimate role. If it goes beyond that limit, it becomes like a cancer, destroying productive life in every field it touches. Trusting the people is a very important concept. Whenever people talk about wanting or needing strong leadership I ask them why they don't want to lead themselves, as individuals? That's what is lacking. Continuing on the theme, an essay about separation of charity and the state, by Jacob Hornberger, is posted here. Can any one of the ACT members please explain why your leader has offred his own definition of "corruption" in support of Helen Clark's battle against Don Brash. Most people that I have spoken to (including some who were at one time sympathetic to ACT) are speechless with disbelief. You'd have to give me some specifics of what was actually said by Rodney on corruption issue. Funny you did not hear it yourself Trevor. He said saying the Labour Party was "corrupt" went too far. Do you agree with Wodney Trevor?